This chair is crafted to perfection and designed to the bodies natural shape, you will find complete comfort with its high quality PU leather and padded seat. It features a angle-adjustable backrest to help you adjust your sitting position throughout the course of your working experience. 360 degree swivel design and 5 rolling wheels make it easy for you to move, seat height adjustment will also meet most of your needs. 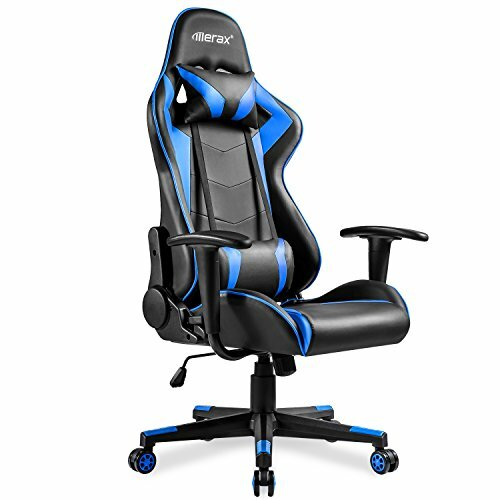 This brand new racing gaming chair offers you a combination of luxurious comfort and high-performance style. Warranty: 1Year. Assembly is required.